Hello JORD Wood Watch! 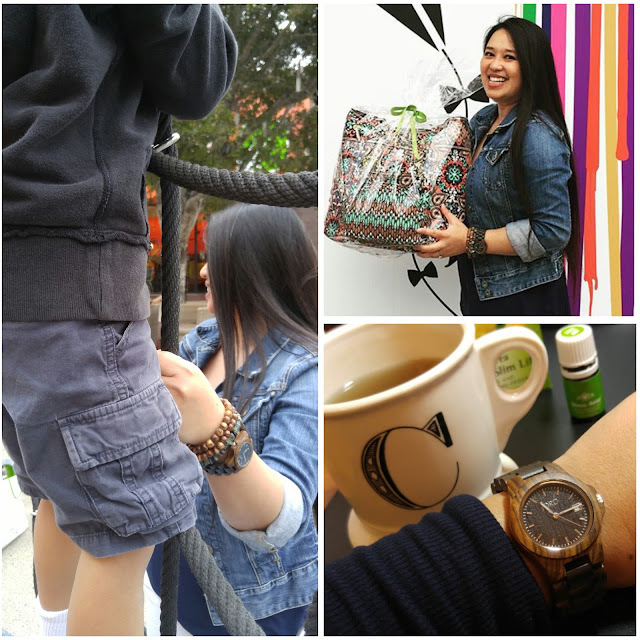 I received this gorgeous watch to style and review. It has fast become my favorite accessory. I love the look and feel of this timepiece. I gladly put down my electronic devices that normally remind me of the time. I had been relying on my smart phone or my fitness tracker to help me keep time. Honestly though those little devices can cause stress and anxiety! A distraction when I am trying to unwind! The alarms that I set go off reminding me of the next thing to do. Isn't there ALWAYS something to do? When I am with my family I unplug as much as I can! I want to be present and in the moment. I still need to be mindful of the time. I can do that with my pretty little watch! It looks better on my wrist than my phone would anyway. EVEN though my phone is GORGEOUS too. The gift of time is something that want to share with my family. Since becoming a parent, time just seems to go by WAY too fast. I love my JORD, it's my pretty reminder that I wear on my wrist. With it I remember to SLOW down. That, and I think that it looks nice! I already have my eye on a few other JORD watches that I would LOVE to own. These unique watches would make a GREAT gift! If you have someone that seems to have everything and are stumped on what to buy - consider JORD! I received one of JORD's most popular styles, the Ely Series in Black. There are 3 other colors in this series: Natural Green, Maple, and Cherry. There are so many styles and colors to choose from! 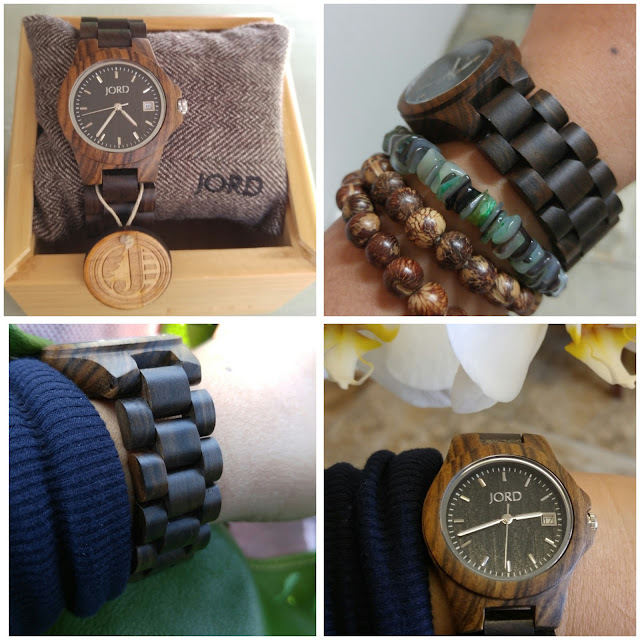 All of the JORD Wood Watch collections may contain one or multiple types of wood. Featured are: bamboo, maple, sandalwood, blackwood, cherry, zebrawood, koa, purple heart, ebony and rosewood. How is THAT for variety?! I am quite impressed with the use of natural and sustainably sourced wood that comes from across the globe. Here is something more to love: JORD uses 100% natural wood and they refrain from the use of toxic chemicals to either treat or protect the wood. A parting shot of my son as we slow down time just a bit. Unplugged for a moment from our gadgets. I love adding to his book collection. 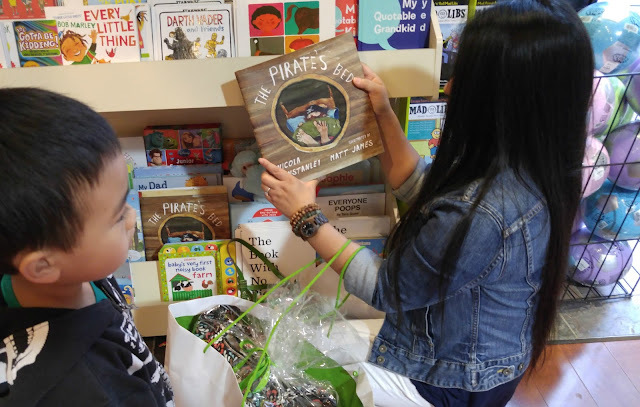 As I browse my 5 year old ever so patiently waits so that we can cruise away from the books down through the aisles and aisles of toys! Shopping with my little guy. Trying to tempt him with a book, but his eye is on some toys! My husband and I are in our 40s and we have a 5 year old son. We both work 40 hours a week outside of the home. We make quality family time a priority. It gets tough to find that time! I'm sure that many of you can relate! 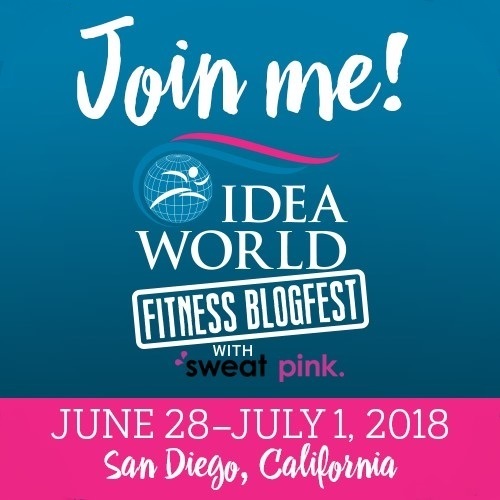 I'd love your tips on how you use your time to make it all happen! Disclosure: I received a JORD Wood Watch to facilitate my review. All opinions are my own. 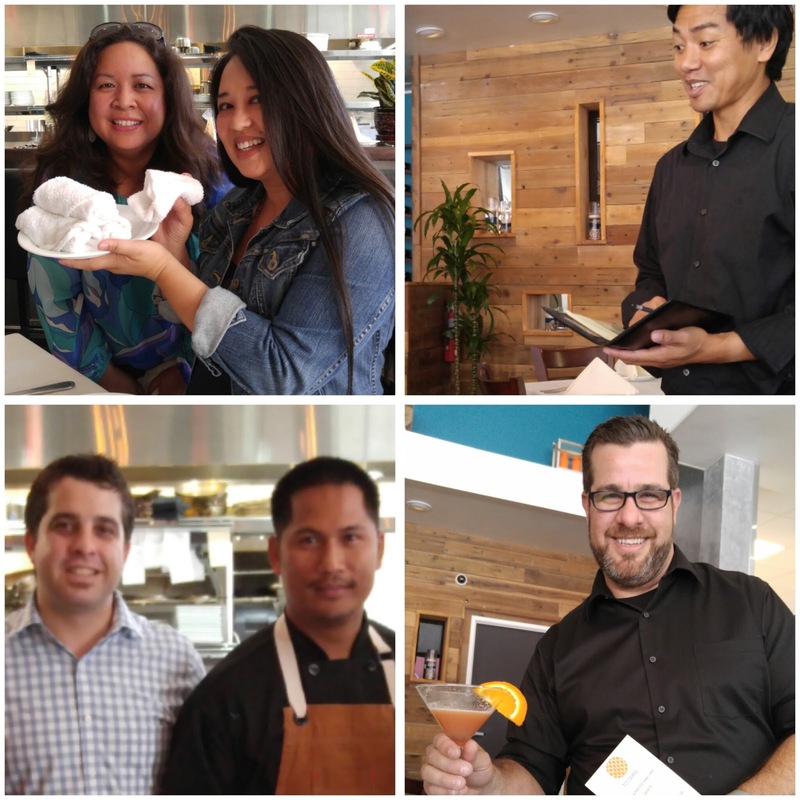 A New Seafood Restaurant & Bar located in the heart of San Diego's Gaslamp Quarter is now open! Ocean Pacific Grille is located at 531 F. St. San Diego, CA 92101. 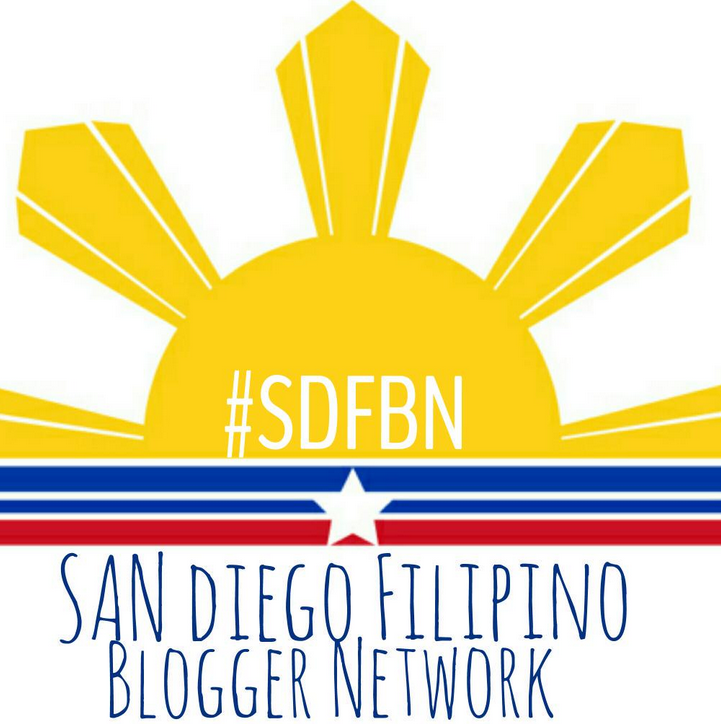 A few members of the newly formed San Diego Filipino Blogger Network got a sneak peek during a private tasting event. I was one of the lucky attendees! 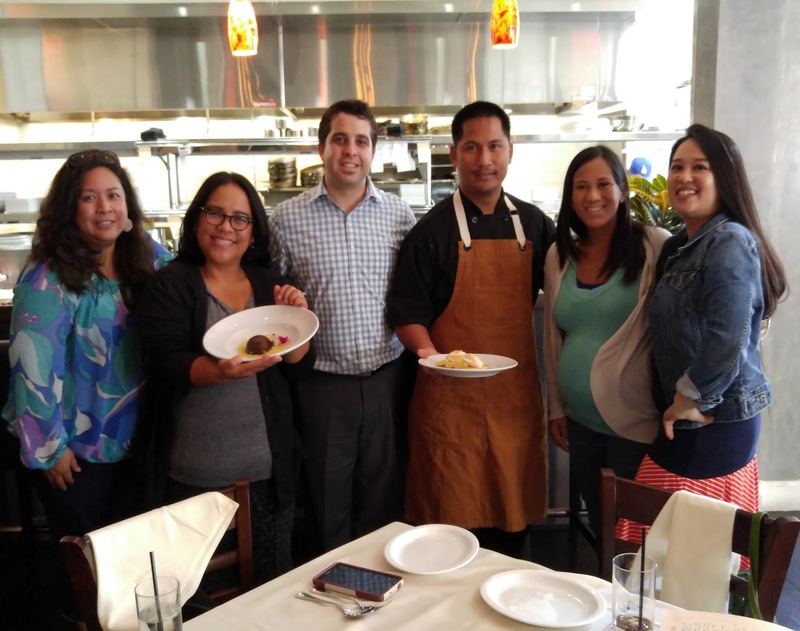 We were graciously welcomed by Brian Norris, Managing Partner and Charles Andres, Executive Chef|Partner. You MUST visit our new friends and try their amazing Filipino inspired menu! Call ahead for reservations (619) 578-2828 and let them know that we sent you! The whole OPG family made us feel at home and will welcome you as well! Adobo style baby back ribs. French fries with house made banana ketchup. As described on their website: "Ocean Pacific Grille features fresh seafood prepared using the bold flavors of the Pacific Rim, wrapped in a Filipino state of mind." First off, I have to say that I am a fan of seafood so I was sold before I even sat down for the sampling! I love anything and everything seafood. The seafood (and all the dishes we tried) from Ocean Pacific Grille is unique. They aren't kidding in their description - wrapped in a Filipino state of mind! The food is reminiscent of dishes prepared by my family. Thoughtful little touches crafted into new gourmet favorites! The Tocino Toast is a must try! 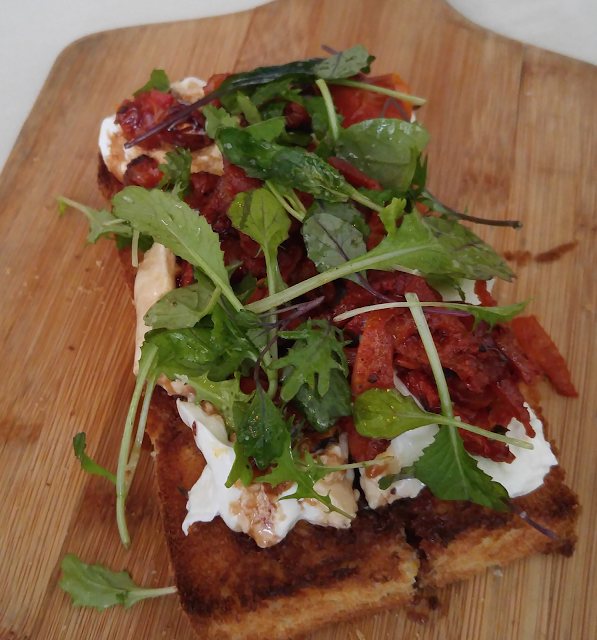 Filipino Tocino Toast: Burrata cheese, slow roasted tomatoes, balsamic reduction. I am already planning a return visit to take hubby for date night. We will try the Sisig Tacos! 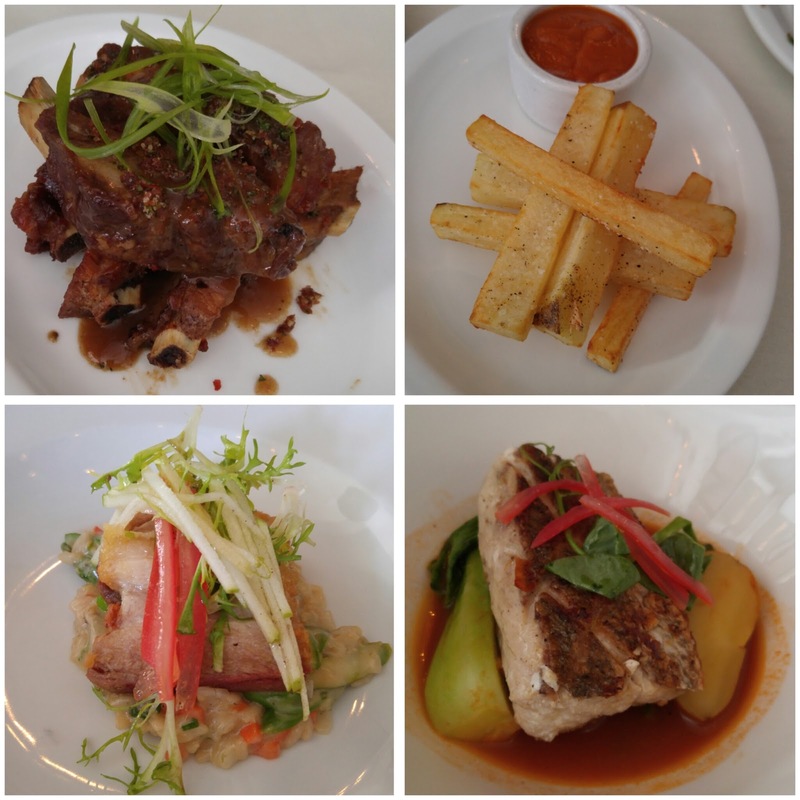 Hubby has roots in Pampanga where great food is highly regarded and cuisine is something that the region is well known for. Sisig is one of his all time faves! The Wine Wall! Check out the decor! 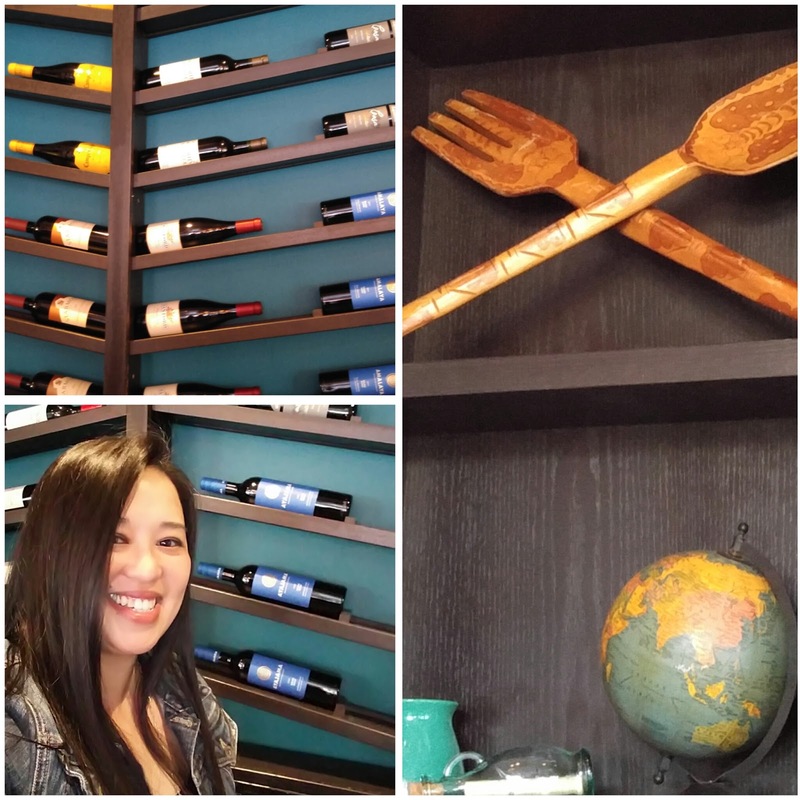 The wooden fork and spoon are proudly displayed - just like at your Lola's house! 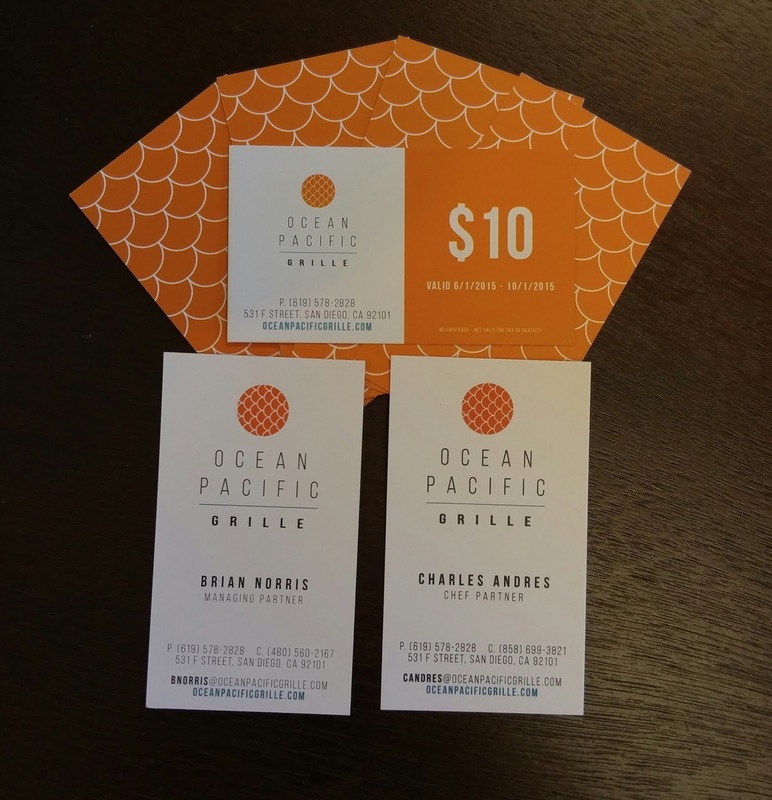 Thanks to Ocean Pacific Grille, I have a few $10 cards to share with my readers. If you want one all you have to do is ask! While supply lasts of course! Let me know via comment on any of my social media channels that YOU want to go to Ocean Pacific Grille. It's simple: tweet me, message me, just let me know! Hurry before I run out! First come first served! 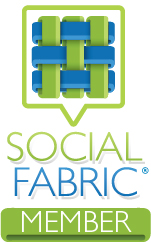 I'd love your support if you feel inclined to follow me on Instagram, Twitter, or Facebook! Don't forget to follow Ocean Pacific Grille on Instagram, Twitter, and Facebook to stay in the know! They offer daily specials that they share on their social media channels. I couldn't end my post without sharing a few pictures of the delicious drinks and desserts! Try to save room for dessert! Don't miss the OPG-Tini! It is the perfect little tropical drink! 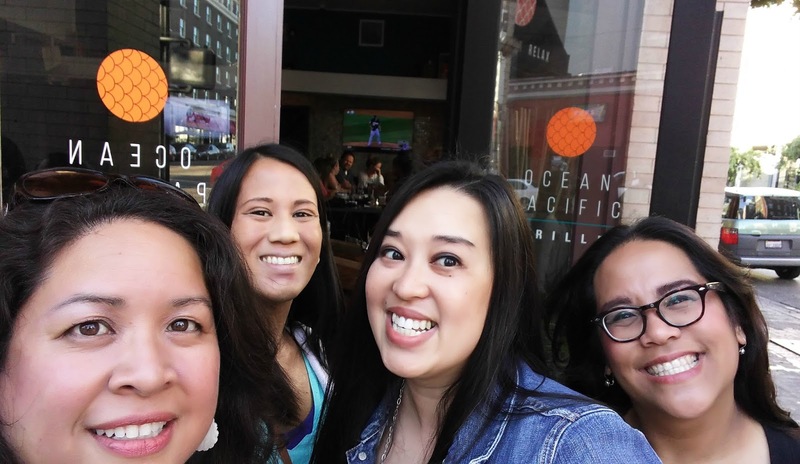 We had a great time and hope that you will try something new and visit Ocean Pacific Grille. The OPG family will take care great care of you! Thank you OPG! Lora and I enjoyed the warm towels (nice touch OPG). John, Brian, Chef Charles, and Steve. 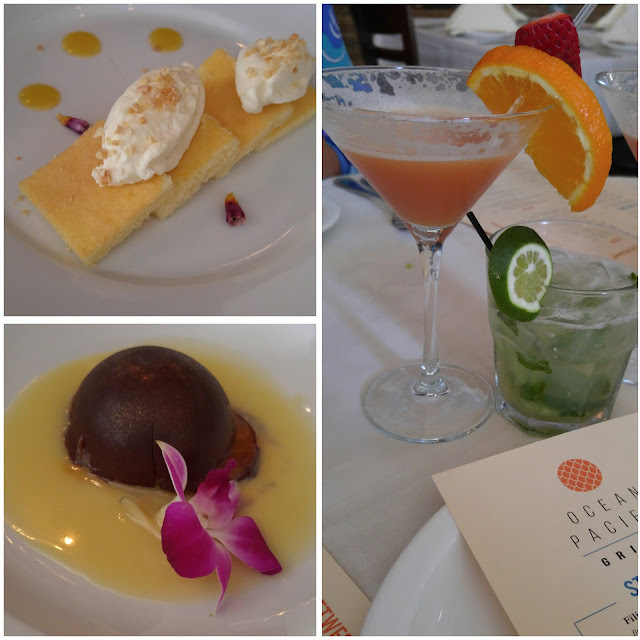 Disclosure: I was invited to a media tasting at Ocean Pacific Grille. All opinions are my own.